New York was remarkably warm and bright when I landed. If the weather here is so hospitable what else can possibly go wrong? 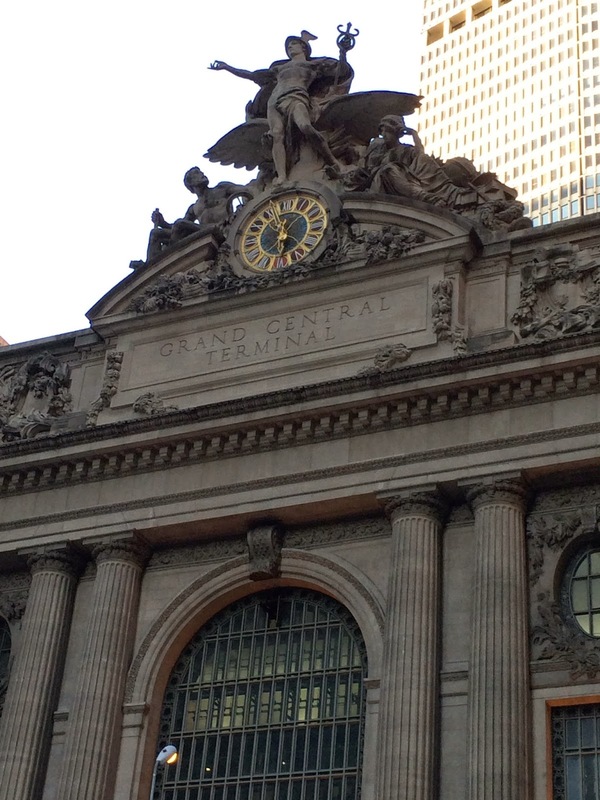 Shortly after checking into my hotel, I decided to take a stroll in the welcoming outdoors and found myself looking up at the tall steel and glass buildings that make up the city’s familiar skyline; however, it was the older, darker building that caught my attention - the imposing facade of Grand Central Station. Built during the heydays of the American rail travel, this station is huge and also among the more beautiful railways stations I have visited. The large airy spaces, the detailing on the walls and ceiling, and the shafts of sunlight coming through the slats made for a very pretty picture. 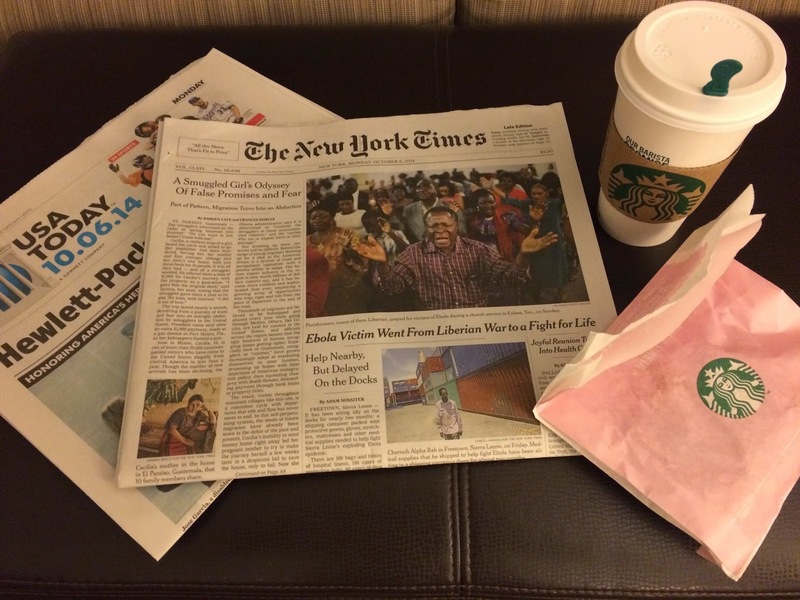 Waking up the next morning and getting a copy of the New York Times with my coffee and pastry was particularly delightful. Unfortunately, only few hotels in the USA now deliver the New York Times to rooms; it is always the USA Today or WSJ. 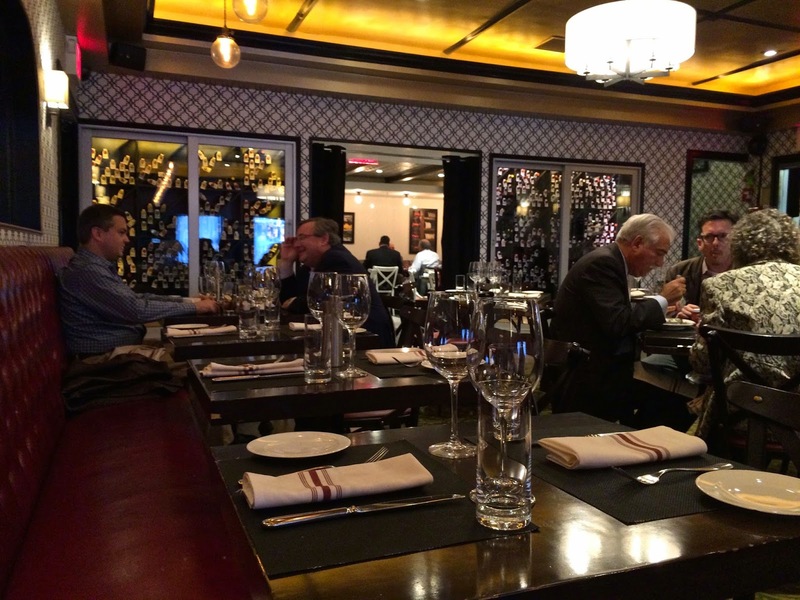 After our first set of business meetings we found ourselves in front of Delmonico's Kitchen and decided to go right in. After all, Delmonico's has been one of New York’s most well known culinary outposts since the 19th century. 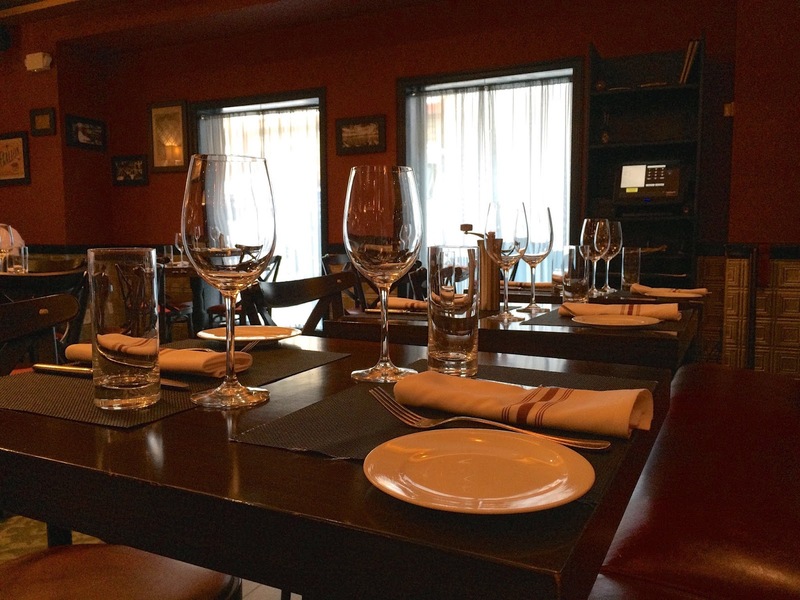 The Kitchen is a more casual and contemporary version of their original restaurant, but serves all of their famous dishes. Delmonico’s claims to have been the first fine-dining restaurant in the USA, one that allowed its patrons to select off a menu for the first time. They created the Delmonico Steak, the Eggs Benedict and are even credited to have named the Baked Alaska. 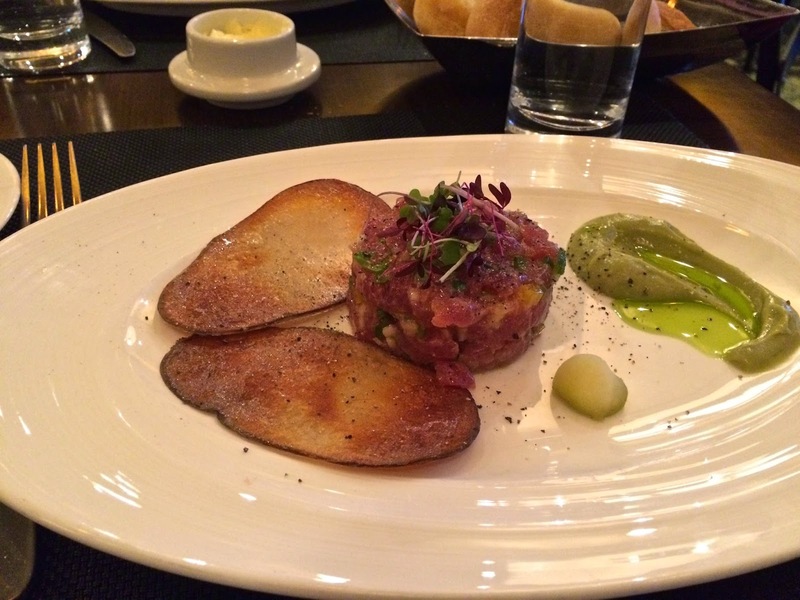 Both the Tuna Tartare and the smaller lunch portion of the Delmonico Steak with hand-cut Fries I had ordered lived up to all the hype. The meat was flavourful and perfected grilled medium like I had wanted. I couldn’t have polished off a portion any larger. After concluding business for the day, we decided to drive down to the 9/11 memorial. 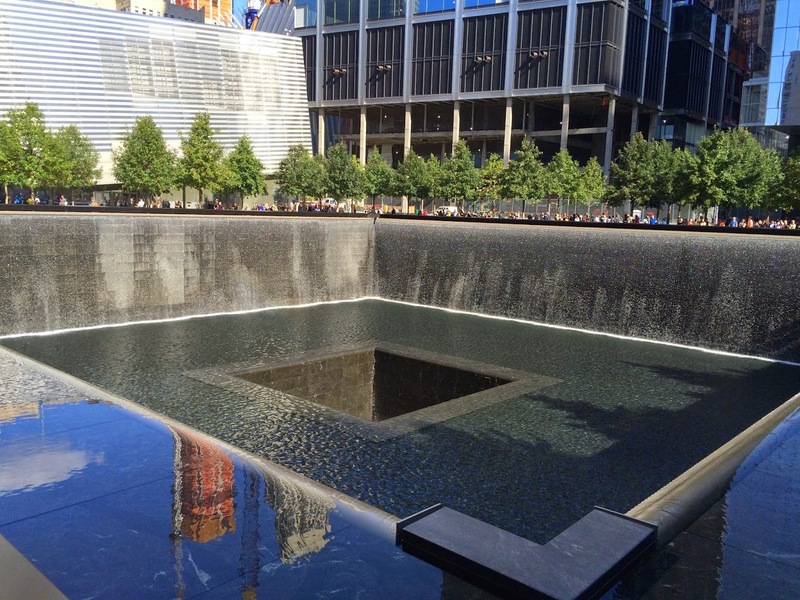 The memorial is a poignant reminder of the scale of the tragedy that occurred on that fateful morning. We did not have time to take a tour of the museum, but I could see the entire area has been thoughtfully designed and I hope to be back with more time. 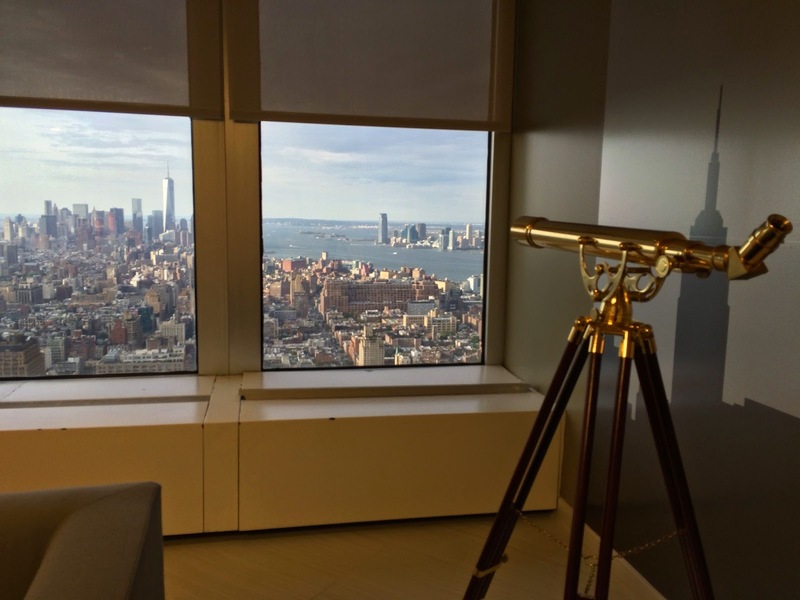 Our offices on the 57th floor afforded some great views of this lovely city; I could see the Statue of Liberty at the distance on this clear afternoon. Someone thoughtfully had put up telescopes in the reception area which was a nice touch. 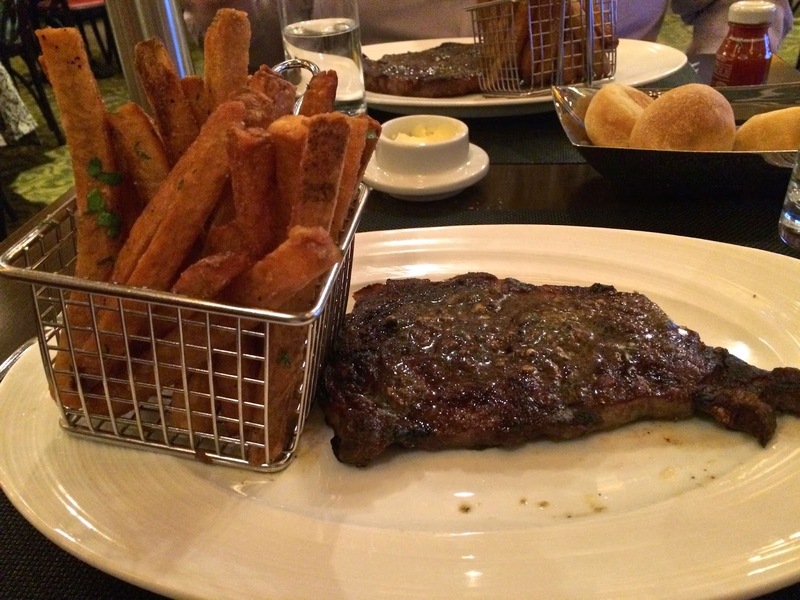 On the next day, we decided to visit Capital Grille during lunch. I had a sudden craving for burgers and what better place than this? 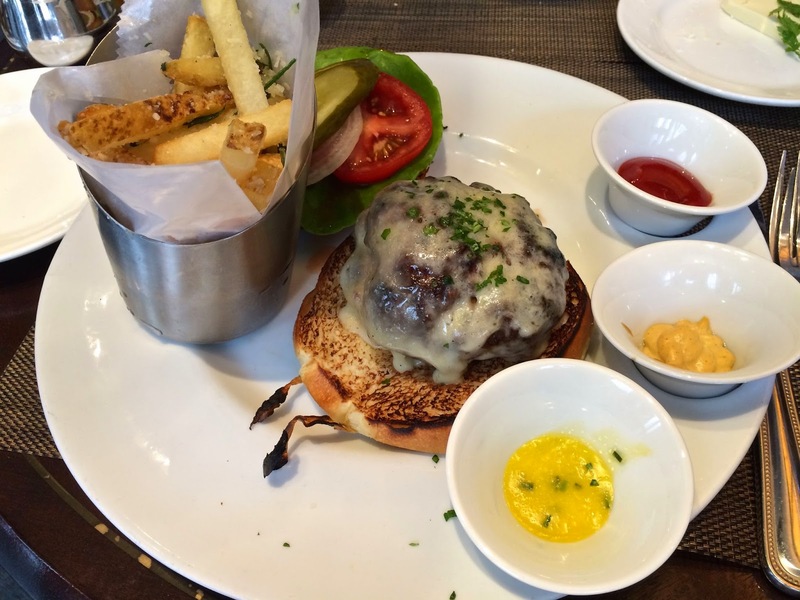 Their signature Cheeseburger is made of a delicious blend of chopped sirloin, smoked bacon and sweet onions. I had also ordered a side of parmesan truffle fries. This was everything I could wish from a burger - completely awesome! 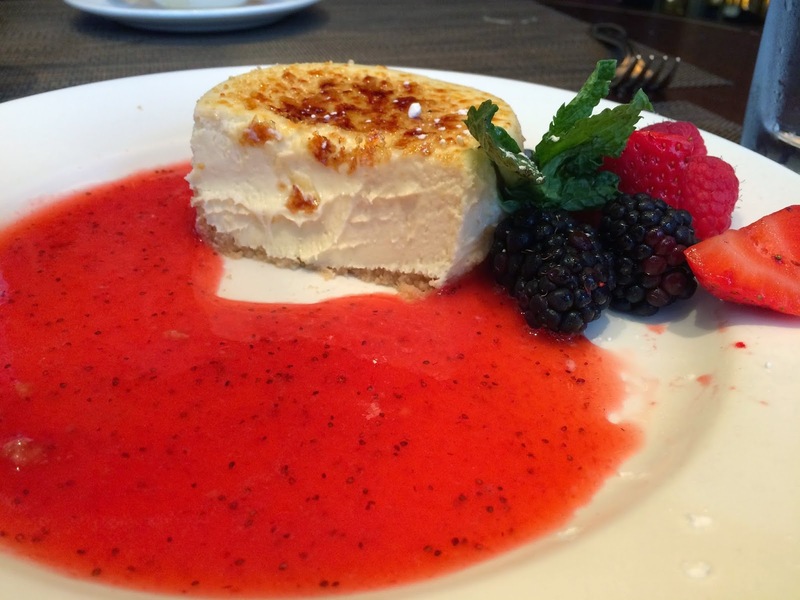 I had to make space for another famous New York dish before I left the city - the cheesecake! The round shaped cheesecake was topped with a caramelised brûlée topping and served with seasonal berries and made for a fabulous ending to a great lunch. 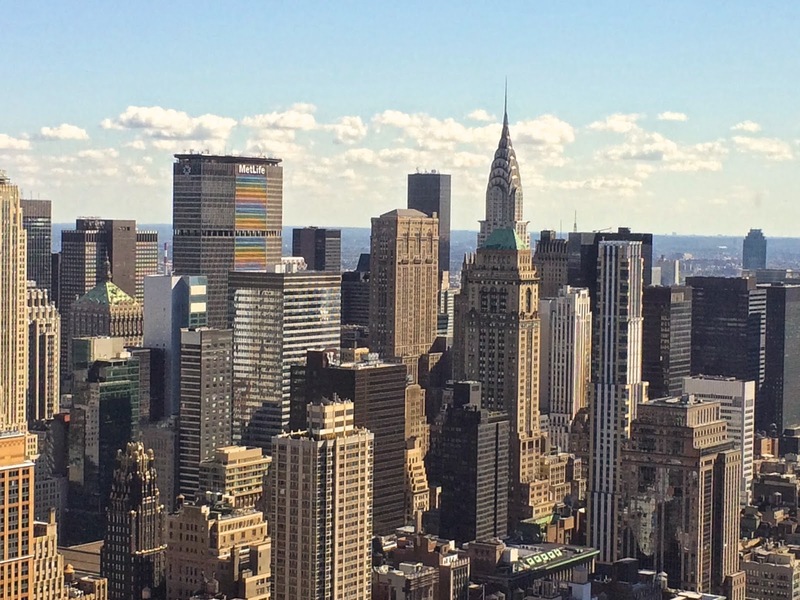 New York has so much going for its food scene, from fine dining to food truck goodness, you can spend an entire year here and not tire of eating out. All you need is for the weather Gods to be a little kind so you can avoid the craziness that happens when you get stuck here during one of the increasingly frequent snowstorms.